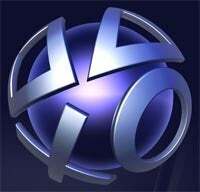 Rumor: Sony Starting Online Games Mag? Sony Computer Entertainment America recently filed a trademark for a product named "Qore," but we don't expect to necessarily see a game coming to the PlayStation 3 or PSP with that name. Instead of the standard description "computer game software and video game software" services—as in the case with the recent filing for The Last Guy, a planned PlayStation Network release—the trademark filed for Qore protects against "computer services, namely, providing interactive online magazine and entertainment services in the field of video games." Whatever it is, it's almost certainly PlayStation related—and one could speculate that a more polished digital delivery of approved info via the PlayStation Network might be a compelling service, from a marketing perspective. We'll be digging around for more info, but your best guesses in the comments are welcome.